We are fast approaching three years since the devasting earthquake occurred. 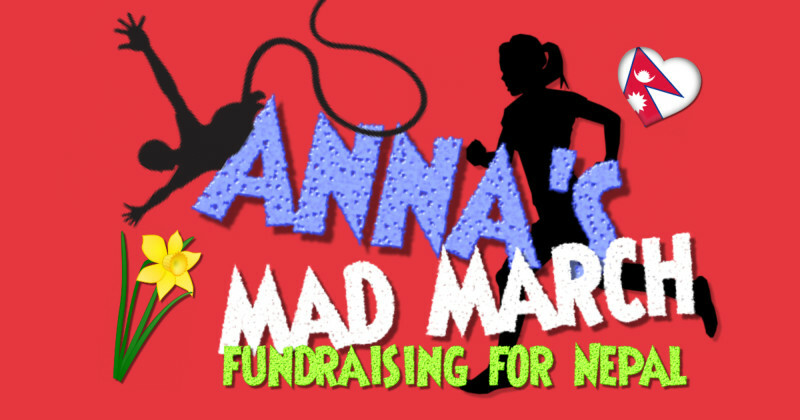 In March my two younger sons and I plan to travel to Nepal, therefore we thought it would be a good idea to fundraise under the banner of "Mad March". I plan to run the Inverness Half Marathon with my friend Paula on the 11th March. On the 17th March Prakas and I are going to do a tandem bungy jump! Leo Raj is going to do a bridge swing. This is all to raise money to continue to rehouse families in Nepal. Many thanks. Thank you for visiting our Givey page. When you make your donation through Givey, the Charity receives 100% of the donation. Your details are safe with Givey and donating is completely secure. Whatsmore, they never share your email address with any third parties except the Charity you donate to.